More and more web development, Saas and platform has now moving to the cloud computing such as Amazon AWS. Compare with the tradition disaster recovery plan for web hosting, things become more easy and simple when it’s on the cloud. No matter you have a dedicated database server or using the same server for applications and database, you want to have your database backups in a different place. It could be another backup server or your local computer. You could automate this routine with a little SSH and bash scripting. 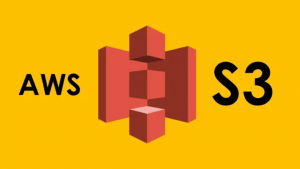 Create the php file in the directory where you have installed the AWS SDK. Can’t find your secret key? learn more. This example is using UBUNTU NGINX, the shell directory can be different depends on your server OS. This cron job basically does two things, run the autoBackup.sh to export the mysql database and run the auto_backup.php to upload the database to the S3 bucket. #send database to s3 bucket on the 2nd day of every month. Now the backup process is automated and uploaded to AWS s3 bucket. Hope it helps.